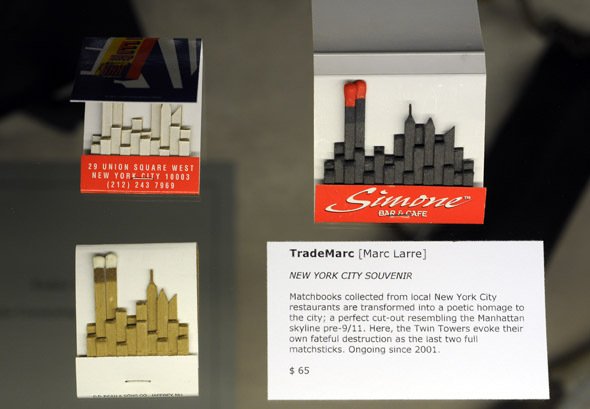 Art Metropole is a tough place to pin with a label. As is so often the case, the process of doing so forces one to make an either/or decision - as in, "it's either this or that." But what happens when we encounter a thing that is both this and that? Language, it seems, is ill suited to represent such complexity, and whether intended or not, the act of labeling tends to take that which is inherently plural and make it singular. 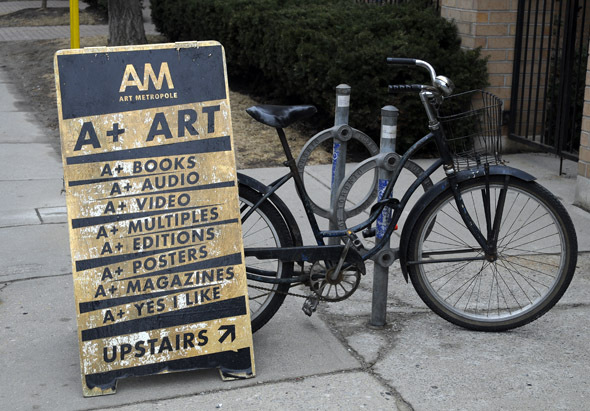 So the question is whether Art Metropole should be referred to as a gallery, a collective of artists, a shop, or a publisher? Which of the above, if any, is the most accurate? To some extent, these are critical questions, for reasons that I hope will become clear momentarily. 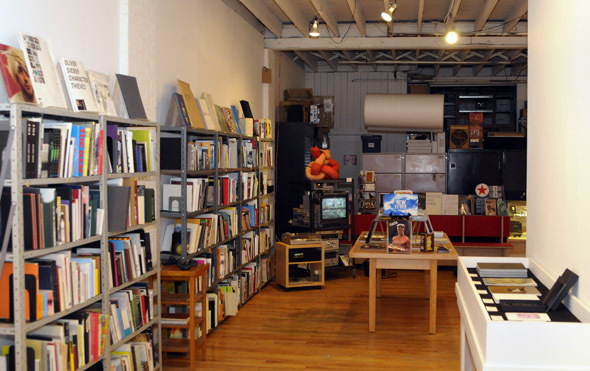 An artist-run operation, Art Metropole functions as a shop and publisher as much as an exhibition and event space. This is immediately apparent when stopping by for a visit. 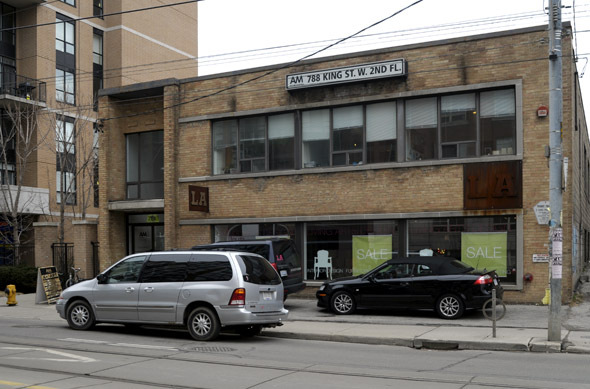 Located at King and Niagara since the late eighties, it is one of the older artistic operations in the city. The roughly 3000 square foot open-concept layout allows visitors to get a glimpse at some of the goings on beyond the shop and gallery area, which are somewhat loosely defined. In keeping with its mandate, no one aspect of the operation appears to take obvious precedence over another. One of the benefits of this is that adapting it for exhibitions and events - be they book launches, lectures, class visits - is a cinch. As I was chatting with Miles Collyer, the shop manager at Art Metropole, he explained to me that the origins of the gallery/shop/publishing house can be traced back to 1974 when a group artists known as 'General Idea' decided to found a collective whose goal was to produce, endorse and distribute artwork that took the form of an edition. What types of things fit this description? 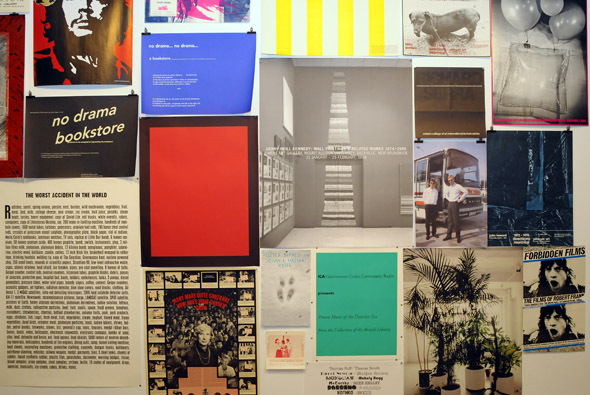 Artist books, audio/video projects, posters, prints, and multiples (smallish objects of design that are reproducible). The commonality here - and the link to my earlier musing about labels - is that none of these art forms accrue value as a result of their uniqueness. They are, by their very nature, repeatable and thus plural. This is, of course, very different from how something like a painting works. To a great degree, the value of a painting - be it monetary or otherwise -- has to do with the fact that there can only be one original. What, for instance, do you suppose the difference in price is between your poster of Van Gogh's ' Sunflowers ' and the original at the National Gallery in London? And, even though Van Gogh painted various versions of Sunflowers, because they're all unique (rather than mechanical reproductions), each one is worth millions. That last sentence gives me away a bit. I'm just reciting the early 20th century German philosopher and literary critic, Walter Benjamin , here. In his essay, 'The Work of Art in the Age of Mechanical Reproduction' (1935), he argued that the advent of modern technology had opened the doors for a liberation of art from the cultural elitism associated with the 'aura' of original. Clearly, 'General Idea' read their Benjamin. 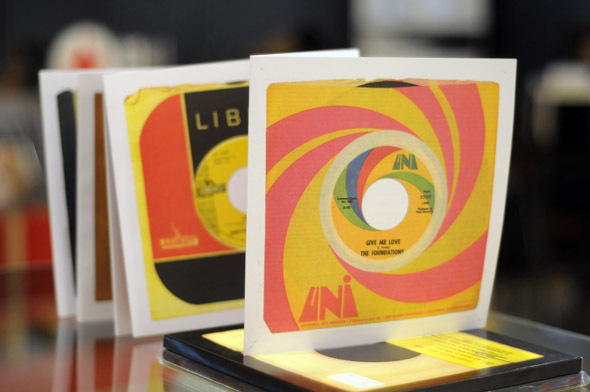 To establish a mandate that celebrates art in the form of an edition - i.e. those works that have no original - is to at once rejoice in accessibility, affordability and plurality. For, in the absence of an original, each edition is theoretically equal. It's for this reason that I'm reluctant to pin one of the various labels I could on Art Metropole. In the same way that we tend to prioritize and privilege originality, our use of language tends to force us to simplify and limit things that are properly complex and open. So, this is my feeble attempt to resist. Besides, all this philosophical musing aside, it's really quite a diverse space. As I wrap this up, I'm forced to wonder if this is a review, a profile or an endorsement of an idea. Or, perhaps this entry's just a shameless use of BlogTo to expound my philosophical views? Here's my take: not either/or but both/and .